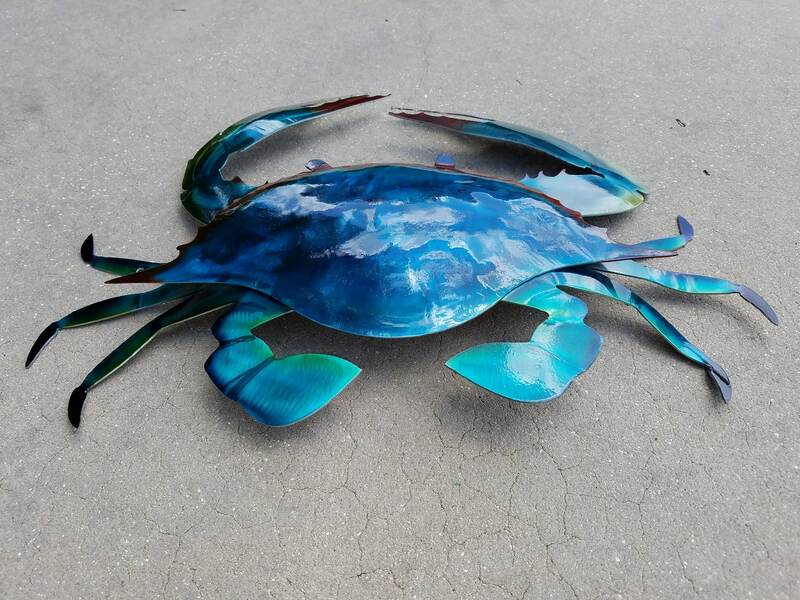 Bring home a piece of the ocean with this 24" x 20" gorgeous blue crab aluminum wall art! 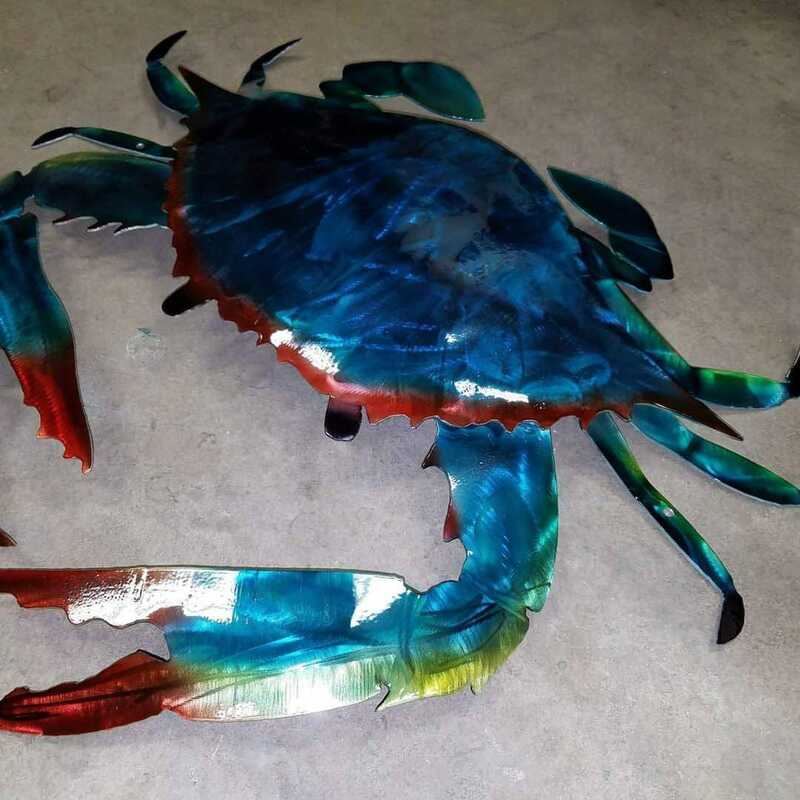 Been looking for unique crab decor? Look no further! 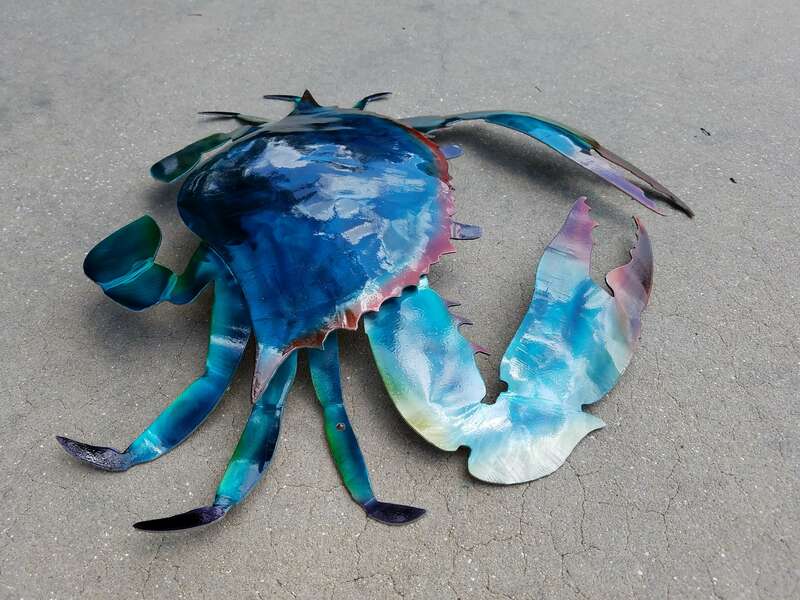 Our aluminum art is perfect for those who enjoy sea shell home decor or have been on the lookout for the perfect outdoor decor or patio art. 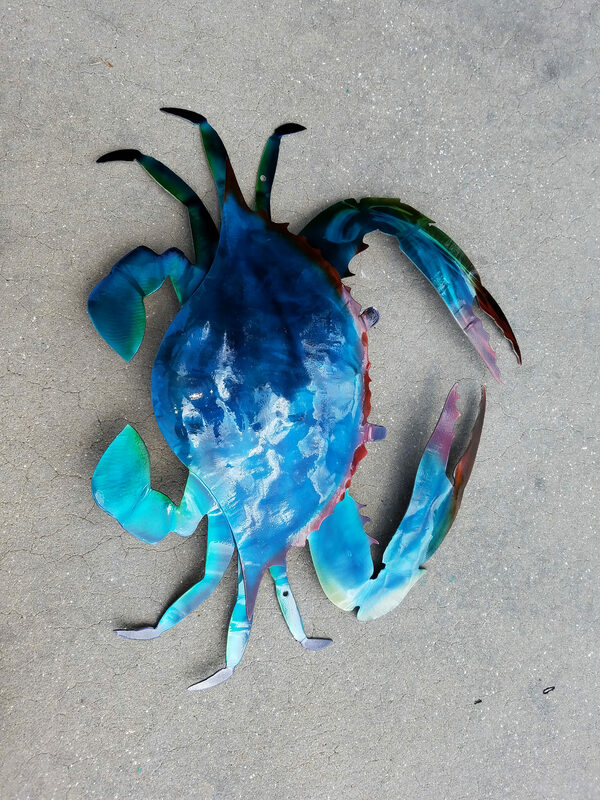 Made by hand here in Florida, we understand how hard it is to find outdoor decor that will stand up to the elements of our coastal life. Many items made from steel will lose their luster to rust in a matter of months leaving us looking for something better. Our aluminum wall art is plasma cut from US sourced aluminum in Central Florida. There are no Chinese pieces claiming to benefit Haitians here. This piece begins as 2 pieces. Each piece is painstakingly shaped by hand to give more dimension. 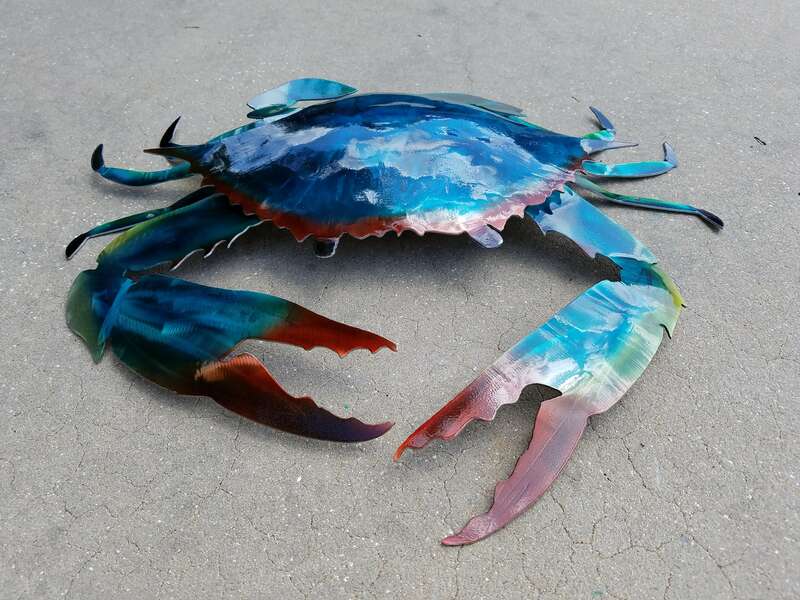 Then, these pieces are welded together (by a human) to give a real feel to the blue crab. We then airbrush each piece in house with transparent metal dye so each grind mark stands out on the metal itself. This allows light to reflect on each hand ground section to really bring out the luster of the piece. Finally, we use a clear powder coat to seal the dye and protect the metal. Because aluminum is resistant to the rusting we see with the steel, the powder coat gives an extra layer of protection to keep each piece looking its best. Your individual piece will be shiny and gorgeous for years to come. *** Please note: Due to the nature of airbrushing by hand, each piece will differ from the last. The photos in this listing can be replicated to the best of our ability, but please understand there will be slight differences. However, this also allows us to customize each piece to your request. Prefer a red shell? All green? Just ask and we'll get to work for you. Each piece is made to order, so delays can happen. If you need a rush job done, please select the listing for rush production. Rush production does not indicate delivery times, only that we will push your order up in priority. Please select the shipping option that best suits your needs at checkout. We love what we do and appreciate you taking the time to look at our products.